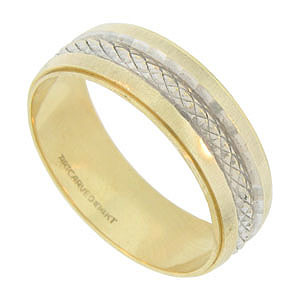 This distinctive 14K yellow gold estate wedding band is embellished with a simple braid of engraved white gold. 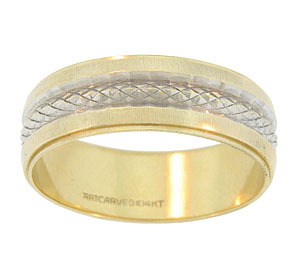 This handsome wedding ring has a matching band WB2611 (sold separately). The ring measures 7.0 mm in width. Circa: 1950. Size 10 1/2. We cannot re-size.